Cheap last minute vacation in Cuba: Varadero for €314! 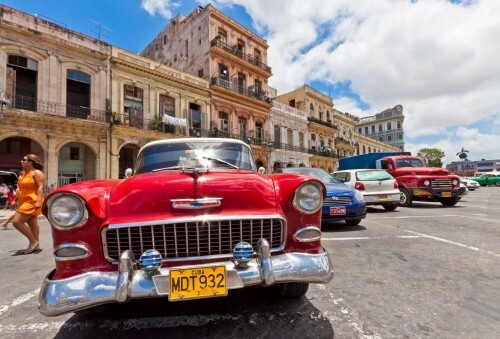 UPDATE 10.6.: LTUR again offers really cheap last minute tickets to Cuba: Brussels-Varadero for just €314! Fixed dates 12.-19.6., 20 kg luggage included. Book here, check screenshot. German travel agency LTUR currently offers last minute flights to Varadero in Cuba for just €406! That’s really good price, around 50% cheaper than normal rates to this destination. There is only one option available for this trip, 26.3. with return on 2.4., which makes it a pleasant 1 week break. If you want to enjoy this cheap last minute vacation in Cuba, hurry up before the offer sells out. « Cheap last minute flights to Mexico: Cancun for €294!